The online version of this article (doi: 10.1186/1472-6963-10-209) contains supplementary material, which is available to authorized users. HSCT procedures are conditioning regimens to eradicate disease and facilitate persistent engraftment . Graft versus host disease (GVHD) prophylaxis is performed to prevent major complications related to severe immune incompetence. All HSCT patients are treated in positive-pressure isolation rooms and receive antibiotics for prevention of Pneumocystis carinii pneumonia, Cytomegalovirus, and Ebstein-Barr virus. The criteria of engraftment are an absolute neutrophil count more than 0.5 × 109/L within three consecutive days or a platelet count more than 20 × 109/L without transfusion within seven consecutive days [7, 8, 9]. 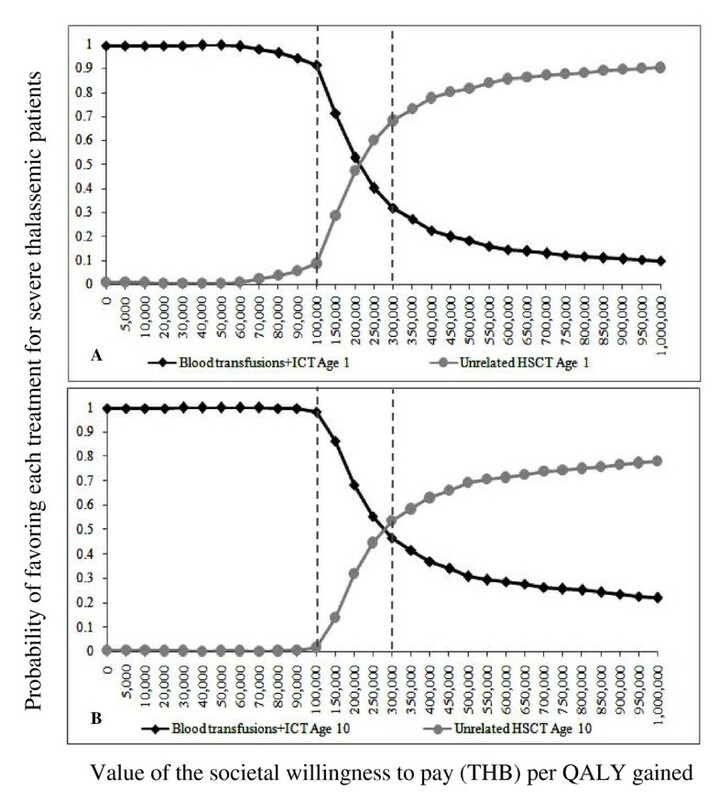 If the patients have engraftment failure after receiving HSCT, a second round of HSCT may be provided to prevent thalassemia recurrence or irreversible aplasia. In addition, for patients receiving BT-ICT, the transition probabilities converted to annual probabilities of death were derived from available cohort studies [21, 22, 23]. 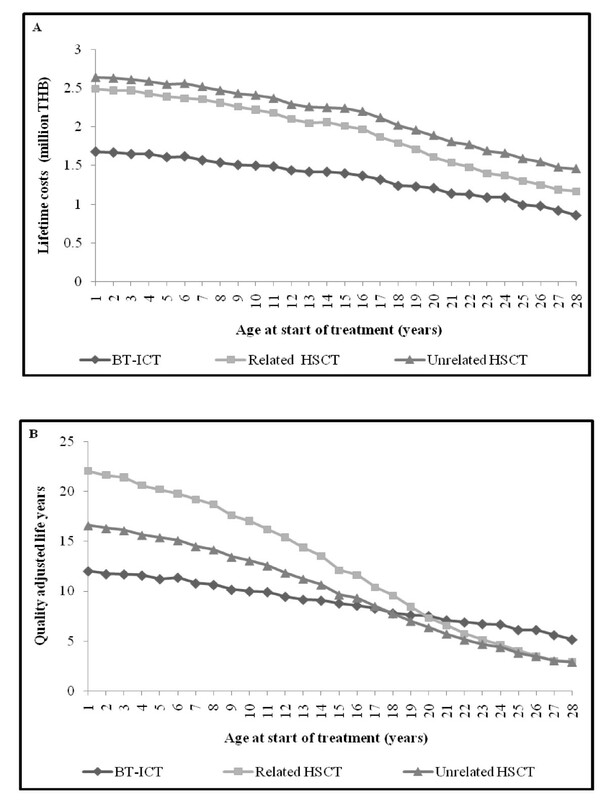 Based on the cohort of 67 patients, no one received HSCT more than twice. Therefore, in the model it was assumed that if the HSCT patients had failed twice, patients would receive BT-ICT for the rest of their lives. This study had several limitations. 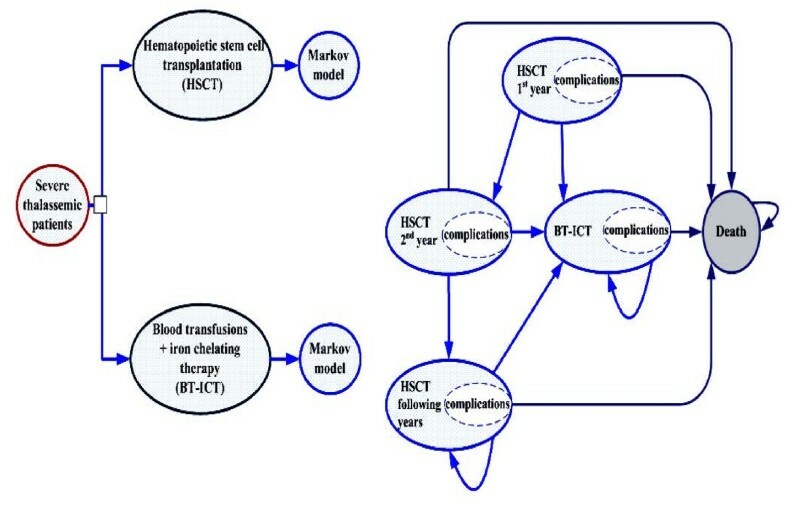 First, due to the lack of survival data for patients treated with blood transfusions in Thailand, their transition probabilities were based on survival analysis studies in Iran [21, 22, 23]. The prevalence of thalassemia and its treatment in Iran were found to be similar to that of Thailand, in that severe thalassemia in Iran was the most prevalent genetic disease and its standard therapy was the provision of BT-ICT. Likewise, the survival data and transition probabilities for HSCT patients were obtained from a relatively small cohort; this area is a priority for future research. Second, the direct medical costs of the interventions were obtained from different sources. 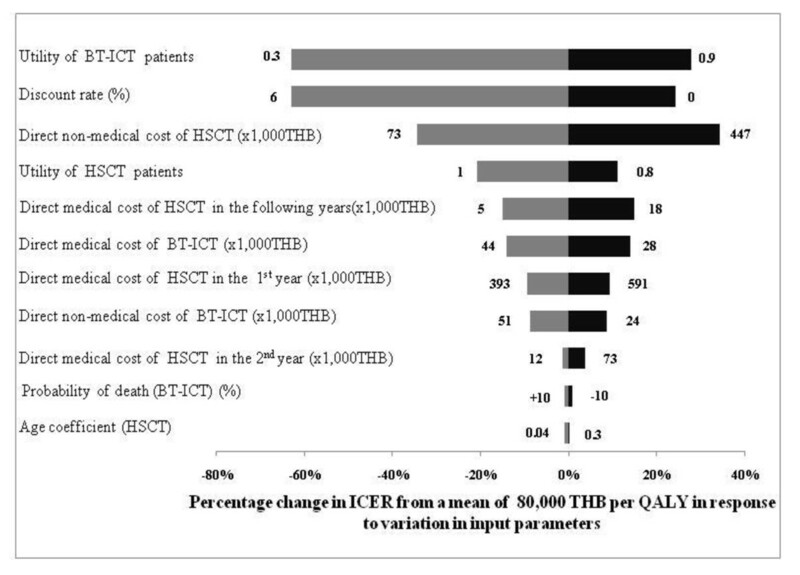 While both sources originate in the Thai context, the costs of blood transfusions were derived from a cost of illness study in three treatment centers in Thailand  whereas the costs of HSCT were estimated from a hospital database. 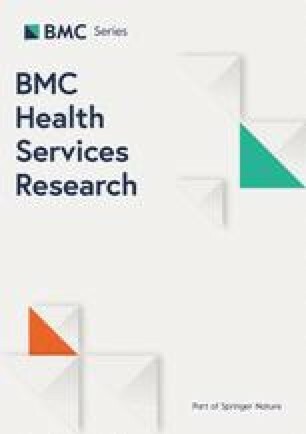 Using a single hospital database could however underestimate the true costs of blood transfusions, as patients might receive these in a number of different hospitals. HSCT patients on the other hand, need to be followed up regularly at the same hospital so all costs could be collected in a single hospital database. Third, the sensitivity analysis indicated that the ICER per QALY gained was most sensitive to changes in the utility of BT-ICT patients which this study obtained from foreign data (i.e. Australia and UK). This is identified as an area where further studies using local data are needed. Fourth, no estimates were available for the utility parameter of patients receiving HSCT, so that the utility of HSCT patients with malignant diseases was used instead . Lastly, the utilities for all HSCT states were similar even though previous studies revealed that the QoL in the early post HSCT states would be poor due to possible complications (e.g. graft-versus-host-disease, infection, and graft failure); in subsequent states QoL was closer to the norm and better than patients receiving blood transfusions [6, 30, 31, 32].